This clearly written and scholarly enriched introduction to the New Testament Letters and Apocalypse is a companion volume to Exploring the New Testament, Volume One: A Guide to the Apostles & Acts. 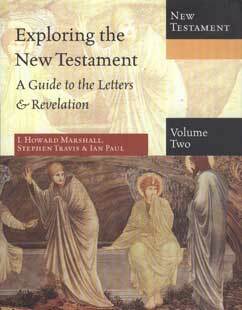 In addition to making up-to-date New Testament scholarship accessible to students, I. Howard Marshall, Stephen Travis and Ian Paul fill this volume with helpful classroom features: questions and issues for discussion, suggestions for student research and debate, essay topics at an introductory and intermediate level, and recommendations for further reading and research. Particularly aimed at students of theology, this book introduces students to Greco-Roman background, ancient letter writing, Pauls life, mission and theology, issues of authorship, date and setting, reading and interpreting the New Testament Letters and Revelation, content and major themes of each of the New Testament Letters and Revelation, and understanding the meaning of each of these documents for today.